For many in sports, winning isn’t everything; it’s the only thing. This quote is attributed to UCLA Bruins Football Coach Henry Russell Sanders. 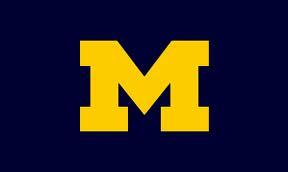 This weekend, I saw this belief played out at my other alma mater – University of Michigan. Michigan Head Coach Brady Hoke kept quarterback – Shane Morris – in the game after a big hit. Morris was wobbly at best as he got up. And despite compromising our U of M sports morality, Michigan still lost to Minnesota. Those who would eschew morality in favor of victory should consider something else. If winning was all that mattered, then good teams should only seek to play fair or bad teams in order to ensure victory. But they don’t, at least in part because they are in pursuit of athletic excellence. Hollow victories are just that. Today I am a bit ashamed to be a Wolverine. But there is one question that is raised for me in this whole debate. If winning isn’t everything, why do we keep the score?